72-year-old John W. Carty was kidnapped from his home, along with 52 year old Deloris June Smith. The bodies of both were discovered in an isolated area of Navarro County. While in custody for other murders in an adjoining county, Sterling admitted to the murders of Carty and Smith and led police to their bodies. Carty was bludgeoned to death with a car jack. In two separate trials, Gary Sterling pled guilty to the 1988 murders of William and Leroy Porter. Sterling was sentenced to life in prison in both cases. Sterling v. State, 830 S.W.2d 114 (Tex.Crim.App. 1992) (Direct Appeal). Sterling v. Dretke, 117 Fed.Appx. 328 (5th Cir. 2004) (Habeas). Chicken fried steak, fried chicken, mashed potatoes, French fries, pecan pie, sweet tea and a vanilla milkshake. "I wish I could do something to replace your father, your loved one," Gary Sterling said as two daughters and three sons of his victim stood a few feet away watching through a window. "But I can't. I know this was a heinous crime. I just wish I could get him back. I would like the chaplain to say a prayer, not only for me but for the victim's family. For them being misled, I am sorry. That is all I have to say. I'll put in a good word for everybody." AUSTIN – Texas Attorney General Greg Abbott offers the following information about Gary Sterling, who is scheduled to be executed after 6 p.m. Tuesday, August 10, 2005. The 38-year-old Sterling was convicted and sentenced to death for the May 1988 Navarro County robbery and murder of John W. Carty. A summary of the evidence presented at trial follows. Evidence at his trial showed that Gary Sterling hit 72-year-old John W. Carty over the head with a car bumper jack and stole Carty’s car and money. Sterling later sold the automobile for cash. While in jail in an adjoining county on a separate offense, Sterling stated that he wanted to tell authorities about a dead person in Navarro county. After being warned by a magistrate, Sterling led Navarro County authorities to the location of Carty’s body. Sterling admitted in a written statement that he had killed Carty and taken his money and car. July 14, 1988 — A Navarro County grand jury indicted Gary Sterling for capital offense in the death of John Carty. February 9, 1989 — A jury found Sterling guilty of capital murder and following a separate punishment hearing, the court assessed a sentence of death. April 22, 1992 — Sterling’s conviction and sentence were affirmed on direct appeal by the Texas Court of Criminal Appeals. December 14, 1992 — The U.S. Supreme Court denied Sterling’s petition for certiorari review. December 30, 1996 — Sterling filed an application for writ of habeas corpus in the state trial court. June 27, 2001 — The Texas Court of Criminal Appeals denied habeas relief. January 14, 2002 — The U.S. Supreme Court denied Sterling’s petition for certiorari review. January 17, 2002 — Sterling filed a petition for writ of habeas corpus in a Dallas federal court. April 23, 2003 — The federal district court denied habeas relief. March 17, 2004 — The 5th U.S. Circuit Court of Appeals granted Sterling permission to appeal one issue. November 23, 2004 — The 5th Circuit affirmed the federal district court’s denial of habeas relief. March 21, 2005 — Sterling petitioned the U.S. Supreme Court for certiorari review. May 9, 2005 — The state trial court entered an order setting the execution date for August 10, 2005. May 23, 2005 — The U.S. Supreme Court denied Sterling’s petition. June 20, 2005 — Sterling petitioned the Supreme Court for rehearing from the denial of certiorari review. Aug 1, 2005 – Sterling’s petition for rehearing was denied by the U.S.Supreme Court. In two separate trials, Gary Sterling pled guilty to the 1988 murders of William and Leroy Porter. Sterling was sentenced to life in prison in both cases. HUNTSVILLE -- Arrested for fatally beating a pair of elderly brothers at their home near Hillsboro, Gary Sterling had a surprise for authorities. He led them to the bodies of two more slaying victims, a woman and another man. Sterling, now 38, was 20 when he was taken into custody. He pleaded guilty in exchange for two life prison terms the weekend before his capital murder trial was to begin in Hill County for the 1988 bludgeoning deaths of the Porter brothers, William, 72, and Leroy, 71. The brothers were killed in Pelham, which straddles the Hill and Navarro county lines about 35 miles northeast of Waco. Prosecutors in Navarro County, where Sterling led police to a rural grassy area and the body of John Carty, tried him for fatally beating the 72-year-old man over the head with a bumper jack and stealing his car, a TV, a shotgun and a lantern. Jurors who convicted him at his capital murder trial in Corsicana in 1989 decided he should be put to death. His lethal injection, scheduled for this evening, would be the 11th of the year in Texas, the nation's most active capital punishment state. The Texas Board of Pardons and Paroles, on a 7-0 vote Monday, rejected a clemency petition and a request for a reprieve. Sterling's lawyers were in the courts Tuesday to try to block the execution. "Physically, he's the most dangerous person I've ever seen in jail in my life," said Pat Batchelor, the former Navarro County district attorney who prosecuted Sterling. "He was muscles on top of muscles, a really scary person." Batchelor and Hill County Sheriff Brent Button remembered Sterling as the man who trashed items in the jail in Hill County. "He was a real problem in jail and had a lot of violent tendencies and attacked the staff," Button said Tuesday. "He tore up some things we didn't think could be tore up. It was a fairly new jail at the time, and we had some items in the jail that were supposed to be indestructible, and he destroyed them." Prison records show he has not been a serious problem since arriving on death row in February 1989. Authorities think he also was responsible for the beating death of Delores Smith, 52, a friend of Carty's whose purse and glasses were found at Sterling's home. He took deputies to her body the day after leading them to Carty's remains but never was tried for her slaying. Sterling, who declined to speak with reporters in the weeks preceding his scheduled punishment, apparently knew all four victims. Button said Tuesday that the motive for the slayings was robbery to get money to buy crack cocaine. He managed to evade police the night the Porter brothers were killed in May 1988, when they spotted him stripping a car that belonged to Leroy Porter. He was caught the next day when officers, acting on a tip, found him hiding in the attic of his home in Blooming Grove, a town of about 800 some 15 miles west of Corsicana. In earlier appeals, Sterling's lawyers said his intent to kill Carty wasn't clear because he didn't bring a deadly weapon with him, that he only struck Carty once and wasn't sure if Carty was breathing after he was hit. State lawyers responded that he used the bumper jack as a deadly weapon and that he dragged his victim's body 100 feet from the road, through two barbed wire fences, so it wouldn't be discovered. They also said if Sterling only wanted to rob Carty, there wasn't any need to bash in the man's head with the jack. A previous appeal focused on comments from a juror at his trial who was portrayed as racist for using an epithet to describe black people. The juror was white; Sterling is black. At least seven other inmates have executions scheduled, including Robert Shields, set to die Aug. 23 for the 1994 slaying of a suburban Houston woman during a burglary of her Galveston County home. HUNTSVILLE - An apologetic former farm worker from Central Texas was executed Wednesday evening for using a car bumper jack to fatally beat and rob a man during a violent spree 17 years ago that authorities said left three other people dead. "I wish I could do something to replace your father, your loved one," Gary Sterling said as two daughters and three sons of his victim stood a few feet away watching through a window. "But I can't. I know this was a heinous crime. I just wish I could get him back." Asked by the warden if he had a final statement, Sterling said he wanted the chaplain to say a prayer. "I can only say I'm sorry," Sterling said. As Larry Hart, a prison chaplain, finished his brief prayer, Sterling smiled broadly and said as the drugs began flowing, "I'll put in a good word for everybody." He gasped several times and slipped into unconsciousness and seven minutes later at 6:16 p.m. he was pronounced dead. Sterling, 38, was the 11th condemned prisoner executed this year in Texas. Sterling was condemned for the beating death of John Carty, 72, killed in May 1988 at his home in Navarro County near Corsicana. Prosecutors also had evidence tying him to the slaying of Delores Smith, 52, a friend of Carty's whose purse and glasses were found at Sterling's home, although he was not tried for the woman's death. Sterling led police to their bodies after he was arrested for the slayings of William Porter, 72, and Porter's brother, Leroy, 71, at their home in Hill County, about 35 miles northeast of Waco. He pleaded guilty to their slayings and received two life prison terms. Authorities said Sterling knew the four victims, who all were fatally beaten. Evidence showed Sterling, who was 20 at the time, took Carty's car, a TV, shotgun and a lantern. Police said he sold the car for cash he needed to buy crack cocaine. Sterling's execution came about an hour after the U.S. Supreme Court declined to grant a stay. Lawyers argued in appeals that Navarro County jurors were given flawed instructions when they decided in 1989 Sterling should be put to death. Sterling had managed to elude police the night the Porter brothers were killed when they spotted him stripping Leroy Porter's car. Acting on a tip, he was arrested the following day as he hid in the attic of his home in Blooming Grove, a town 15 miles west of Corsicana. While in jail in Hillsboro, Button said Sterling gained notoriety for trashing his cell, tearing up steel jail fixtures officials had been told were indestructible. Sterling, who declined to speak with reporters in the weeks preceding his scheduled lethal injection, also was remembered for a physical training regimen where he would do push-ups for hours. A former farm worker from central Texas was executed this evening for using a car bumper jack to fatally beat and rob a man during a violent spree 17 years ago that authorities said left three other people dead. Gary Sterling, 38, was condemned for the beating death of John Carty, 72, killed in May 1988 at his home in Navarro County near Corsicana. Prosecutors also had evidence tying him to the slaying of Delores Smith, 52, a friend of Carty's whose purse and glasses were found at Sterling's home, although he was not tried for the woman's death. Sterling led police to their bodies after he was arrested for the slayings of William Porter, 72, and Porter's brother, Leroy, 71, at their home in Hill County, about 35 miles northeast of Waco. He pleaded guilty to their slayings and received two life prison terms. Authorities said Sterling knew the four victims, who all were fatally beaten. Evidence showed Sterling, who was 20 at the time, took Carty's car, a TV, shotgun and a lantern. Police said he sold the car for cash he needed to buy crack cocaine. "He was looking for enough to just buy some rocks," Hill County Sheriff Brent Button said. Sterling's lawyers were in the courts in the hours before his scheduled execution trying to block the punishment, arguing in appeals that Navarro County jurors were given flawed instructions when they decided in 1989 Sterling should be put to death. Sterling had managed to elude police the night the Porter brothers were killed when they spotted him stripping Leroy Porter's car. Acting on a tip, he was arrested the following day as he hid in the attic of his home in Blooming Grove, a town of about 800 some 15 miles west of Corsicana. "I've prosecuted a number of capital case, but this guy really scared me," Pat Batchelor, the former Navarro County district attorney who prosecuted Sterling's capital murder case, said. In earlier appeals, he argued unsuccessfully his intent to kill Carty wasn't clear because he didn't bring a deadly weapon with him and that he only struck Carty once. State lawyers responded that if Sterling only wanted to rob Carty, there wasn't any need to bash in the man's head with the jack. Another previous appeal focused on comments from a juror at his trial who was portrayed as racist for using an epithet to describe black people. The juror was white. Sterling is black. At a later hearing, the juror said use of the racially insensitive term didn't make him a racist and he didn't consider himself a racist. Federal appeals courts agreed and denied the appeal. 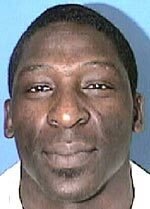 Gary Lynn Sterling, 38, was executed by lethal injection on 10 August 2005 in Huntsville, Texas for the abduction, murder, and robbery of a man from his home. In May 1988, Sterling, then 20, was spotted stripping a car. The car belonged to William Porter, 72, who, along with his brother, Leroy, 70, had been beaten to death earlier that night. Sterling eluded capture that night, but was arrested the next day, hiding in his attic. While in jail for the Porter murders, Sterling stated that he wanted to confess to another crime. He led authorities to the bodies of John Carty, 72, and Deloris Smith, 52, in Navarro County. Sterling confessed that he abducted Carty and Smith from Carty's home, drove them to an isolated field, and beat them to death with a car bumper jack. He stole a car, a television, a shotgun, and a lantern from the home. Evidence at Sterling's trial indicated that he knew all four of his victims. He sold Carty's car to buy crack cocaine. A jury found Sterling guilty of the capital murder of John Carty in February 1989 and sentenced him to death. The Texas Court of Criminal Appeals affirmed the conviction and sentence in April 1992. All of his subsequent appeals in state and federal court were denied. Sterling also pleaded guilty to the Porter murders and received life sentences for both of those convictions. He was not tried for Deloris Smith's murder. "I wish I could do something to replace your father, your loved one, but I can't." Sterling told Carty's sons in his last statement. "I know this was a heinous crime. I just wish I could get him back." Sterling also asked the chaplain to say a prayer. After the chaplain prayed, the lethal injection was started. "I'll put in a good word for everybody," Sterling said before losing consciousness. He was pronounced dead at 6:16 p.m. The state of Texas is scheduled to execute 38-year-old Gary Lynn Sterling, a black man, on Aug. 10, 2005 for the May 31, 1988 murder of 72-year-old John Wesley Carty, a white man, in Navarro County. While in jail in Hill County, Texas, Sterling informed law enforcement officials of the locations of two bodies in neighboring Navarro County. After directing authorities to the bodies, Sterling produced a written statement in which he admitted to the killings. He was subsequently arrested and charged with Carty’s murder. A jury found Sterling guilty of capital murder in the death of Carty and decided that he should die for the crime. Sterling possessed a strong ineffective assistance of counsel claim. During questioning of prospective jurors, one of Sterling’s attorneys, Robert Dunn, failed to inquire into the racial views of a prospective juror that he knew to harbor prejudicial feelings towards African-Americans. Evidence of the prospective juror’s racism is found in a post-trial affidavit in which he used a highly inflammatory racial epithet in reference to African-Americans. Dunn possessed knowledge of the prospective jurors’ racism well before trial, for the two were long-time acquaintances. Yet Dunn neither asked the prospective juror about his racial views nor took efforts to remove him from the jury pool. The unfortunate result of this inaction was that the prospective juror was seated on the jury for Sterling’s trial. And there exists good chance that he was not the only racist juror. Dunn admits that he did not inquire into the possible racial biases of any of the members of the jury pool. The presence of a racially prejudicial juror on Sterling’s jury, and the possible presence of others, might have impacted the verdict and sentence. An additional point of concern in Sterling’s trial is the court’s decision to appoint Dr. James Grigson to aid in Sterling’s defense. Sterling’s attorneys desired to have their client’s mental state evaluated prior to trial. Therefore, they asked the court for access to a psychiatric expert. The court appointed Dr. Grigson, a psychiatrist whose reputation for being sympathetic to the prosecution in capital cases had become so notorious that he had earned the nickname “Dr. Death.” Well aware of this dubious reputation, Sterling’s attorneys declined his assistance. Had Sterling been afforded a proper evaluation by an unbiased, psychiatric professional, findings might have been yielded that would have reduced Sterling’s degree of culpability in Carthey’s murder. The fairness of Sterling’s trial is clearly in doubt. Not only was Sterling convicted and sentenced to death by a jury tainted with racial prejudice, he was not provided access to an unbiased psychiatric evaluation. Please contact Gov. Rick Perry and request that he stop the execution of Gary Lynn Sterling. HUNTSVILLE, Texas (Reuters) - A Texas man was put to death by lethal injection on Wednesday for the 1988 murder and robbery of an elderly man. Gary Lynn Sterling, 38, was condemned for beating John Carty, 72, to death with an auto bumper jack in an isolated area near Corsicana, Texas, on May 13, 1988. Sterling stole Carty's car, shotgun, television and lantern. Sterling took Carty and Delores June Smith, 52, from Carty's home and beat them to death, police said. He was never tried for Smith's murder. Sterling led police to Carty's and Smith's bodies after being arrested for killing William Porter, 72, and his brother, Leroy, 71, on May 17, 1988. He pleaded guilty to beating the Porter brothers to death and received life sentences. On Wednesday, in a final statement while strapped to a gurney in the death chamber, Sterling spoke about the victim's family. "I would like the chaplain to say a prayer, not only for me but for the victim's family," he said. "For them being misled, I am sorry. That is all I have to say." Sterling was the 11th person executed in Texas this year. He was the 347th put to death since the state resumed capital punishment in 1982, six years after the U.S. Supreme Court lifted a national death penalty ban, a total that leads the nation. For his final meal, Sterling requested chicken fried steak, fried chicken, mashed potatoes, French fries, pecan pie, sweet tea and a vanilla milkshake. Texas has seven additional executions scheduled, so far, for 2005. There are 411 inmates awaiting execution on death row. Defendant was convicted of capital murder and sentenced to death after jury trial in the 13th Judicial District Court, Navarro County, Kenneth A. Douglas, J. Defendant appealed. The Court of Criminal Appeals, Maloney, J., held that: (1) statements made by defendant did not violate his right against self-incrimination; (2) presence of seven uniformed armed deputies in courtroom during trial did not violate defendant's Sixth Amendment right to be tried by impartial jury; (3) state did not exercise purposeful discrimination in challenging venirepersons who opposed death penalty; and (4) prosecutor's argument implying that defendant would commit another murder in future if he did not receive death penalty was not improper. Affirmed. MALONEY, Judge. Appellant was convicted of capital murder, specifically, murder committed in the course of a robbery in Navarro County, Texas. V.T.C.A. Penal Code, § 19.03(a)(2). The jury answered the two issues submitted to it in the affirmative and appellant was sentenced to death. Article 37.071 § 2(b) and (c) V.A.C.C.P. On direct appeal, appellant raises seven points of error. We hold that all are without merit and affirm his conviction. Although appellant does not challenge the sufficiency of the evidence, to facilitate a better understanding of this case, we will briefly discuss the facts in the light most favorable to the verdict. The evidence presented at trial showed that in Navarro County appellant struck the deceased in the head with a bumper jack, causing his death. Appellant was also shown to have taken the deceased's automobile, cash, and wallet. Appellant later sold the automobile for cash. Appellant was arrested in connection with a separate offense in an adjoining county. While in the custody of the adjoining county authorities, appellant stated that he wanted to tell the proper authorities about a deceased person in Navarro County. Upon contacting Navarro County authorities and after being warned by a magistrate, appellant led the authorities to the location of the body of the deceased. Appellant admitted shortly thereafter in a written statement that he had killed the deceased and had taken his money, wallet and automobile. Both Officer Jones and Ranger Smith testified that appellant received the requisite warnings from a magistrate on the same day but prior to the time that he made his statements. Pursuant to a pre-trial hearing on appellant's motion to suppress the oral statements, the trial court found that appellant was lawfully arrested pursuant to a warrant, was duly warned of his rights in compliance with Article 38.22 V.A.C.C.P. prior to his statements, knowingly and affirmatively waived his rights and further that appellant's oral statements were voluntary and were not the result of any promise, threat or coercion on the part of the officers. The trial court's findings are supported by the record and accordingly, we will not disturb them. Dunn. Finding no reversible error, we affirm the judgment of the trial court. Background: Defendant convicted of capital murder petitioned for a writ of habeas corpus. The United States District Court for the Northern District of Texas denied the petition and also denied defendant's application for a certificate of appealability (COA). Holding: Granting a COA, the Court of Appeals, Per Curiam, held that defendant failed to prove ineffective assistance of trial counsel. Affirmed. Petitioner Gary Lynn Sterling was convicted of capital murder in Texas and sentenced to death. Sterling filed a petition for writ of habeas corpus in the United States District Court for the Northern District of Texas pursuant to 28 U.S.C. § 2254. The district court denied Sterling's petition. The district court also denied Sterling's application for a certificate of appealability ("COA"). Sterling requested a COA from this Court pursuant to 28 U.S.C. § 2253(c)(2) on several issues. We granted Sterling a COA as to his Strickland v. Washington, 466 U.S. 668, 104 S.Ct. 2052, 80 L.Ed.2d 674 (1984), ineffective assistance of counsel ("IAC") claim based on his counsel's failure to question juror Victor Walther ("Walther") about racial bias during voir dire. For the following reasons, we AFFIRM the judgment of the district court. In February 1989 Sterling was convicted and sentenced to death for the capital offense of murdering John W. Carthey in the course of committing or attempting to commit robbery. On direct appeal in 1992, the Texas Court of Criminal Appeals affirmed Sterling's conviction and sentence; the Supreme Court of the United States denied certiorari. In 1994 the district court dismissed Sterling's initial habeas corpus petition for failure to exhaust state court remedies. This Court affirmed the dismissal of Sterling's unexhausted petition, but the Supreme Court granted certiorari, vacated the judgment, and remanded for further proceedings. On remand in 1995, this Court again affirmed the district court's dismissal of Sterling's unexhausted petition. In December 1996 Sterling filed his state habeas application. After conducting an evidentiary hearing, the trial court entered findings of fact and conclusions of law recommending the denial of relief. As to the particular IAC issue Sterling currently appeals, the trial court found: "Applicant's trial counsel was not deficient by reason of his failure to question juror Walther about racial bias." In 2001 the Court of Criminal Appeals adopted the trial judge's findings and conclusions and denied habeas relief. Later that same year, Sterling filed a subsequent application for state habeas relief, which the Texas Court of Criminal Appeals dismissed as an abuse of the writ. In 2002 the Supreme Court denied certiorari. Sterling then filed his petition for a writ of habeas corpus in district court, which the court denied after oral argument in 2003. As to the particular IAC issue Sterling currently appeals, the district court found: "Considering the strategic nature of Sterling's counsel's conduct, Dunn's personal knowledge about, and assessment of Walther, and Walther's answers during voir dire examination, the state habeas court did not unreasonably determine that Sterling's counsel was not ineffective for failing to inquire of Walther about racial bias." The district court also denied Sterling's motion to reconsider the judgment. Sterling then noticed his appeal, and the district court denied his application for COA. We granted Sterling a COA as to his Strickland claim of IAC based on his counsel's failure to question Walther about racial bias during voir dire. Having carefully reviewed the record of this case and the parties' respective briefing, for the reasons set forth above, we AFFIRM the judgment of the district court.